The Commoner… not so common! | 15,000kms of Food! The Commoner… not so common! Another visit to the north of the CBD takes me to The Commoner. Had not heard a thing about this place, and had no idea what to expect so was thrilled to be served delicious food at an exceedingly reasonable price. Like Estelle Bar & Kitchen, it was such a delightful surprise! We were seated upstairs in the “Rabbit Trap” for a private dinner. Nice little space upstairs, good atmosphere. The service was great with the waiters and waitresses being very at tentative and being proficient in ensuring drinks were always topped up etc. 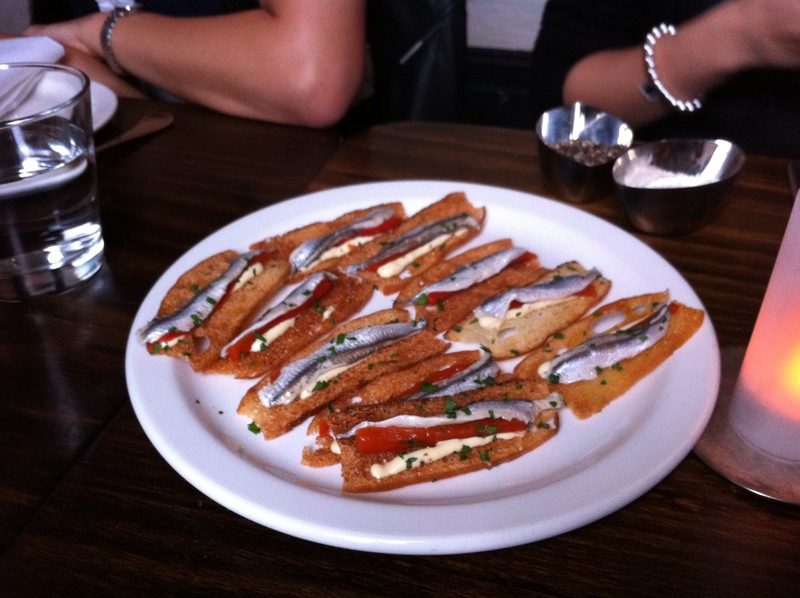 First up we were served “Boccerones – Sicilian White Anchovies on Crostini with Sweet Pepper & Aioli” which were salty goodness on a crispy crostini. 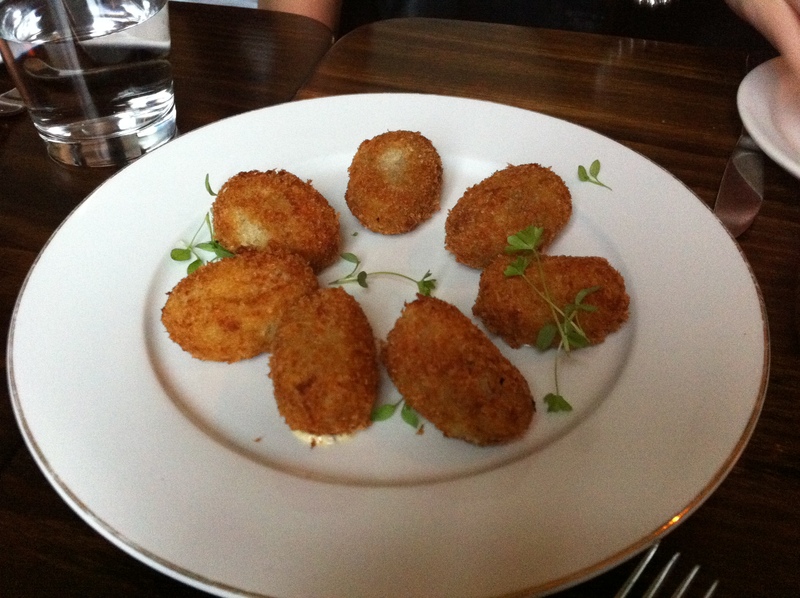 The “Parmesan and Truffle Croquette” were perfect little fluffy potato pillows… loved it! 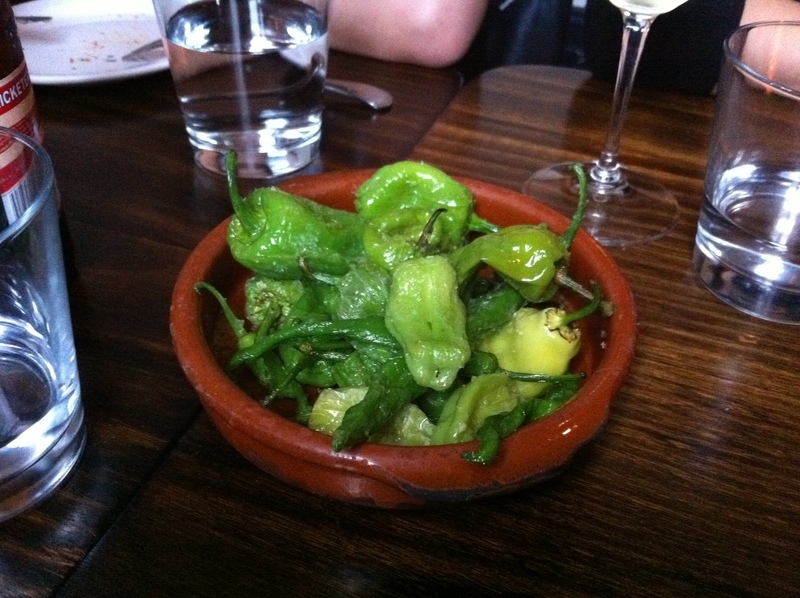 “Richard’s Surprise Peppers” well… were surprising! There were some lovely mild sweet ones and there were some lovely set-your-tongue-on-fire ones. Couldn’t help myself, I kept eating them! 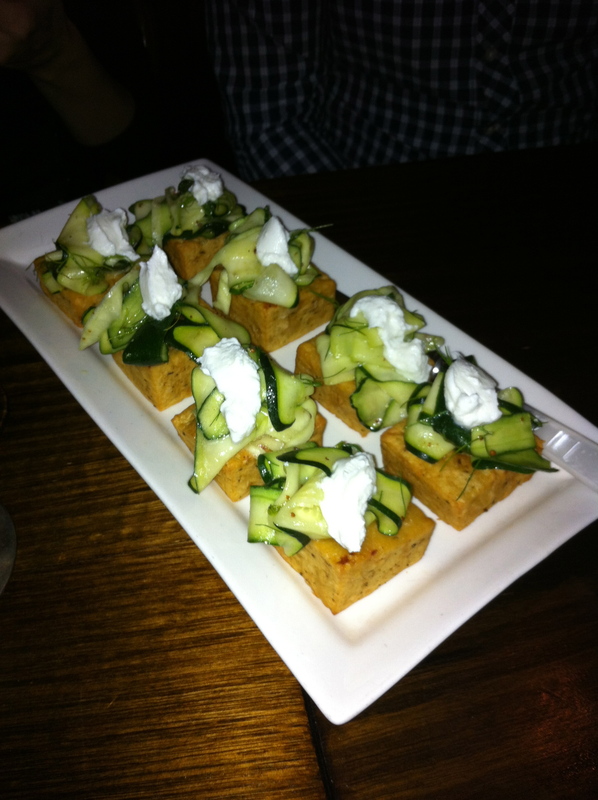 The next item was interesting – “Chickpea polenta topped with zucchini and goats cheese“. Doesn’t sound terribly appetising does it? But it tasted better than it sounded (and ether than it looked). 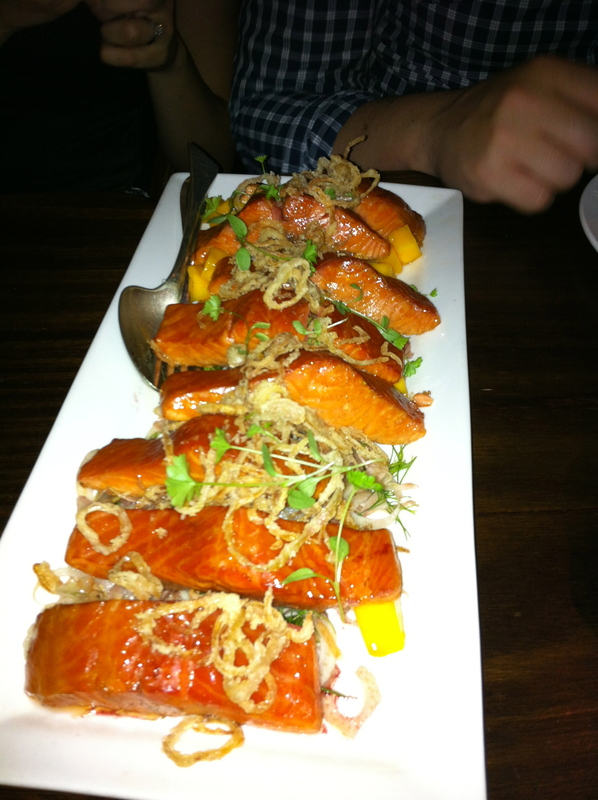 We were then served a “glazed and smoked salmon served with crispy shallots” which was delicious. Fish was cooked perfectly and was smoky in flavour. Shallots and herbs added extra flavour and texture. 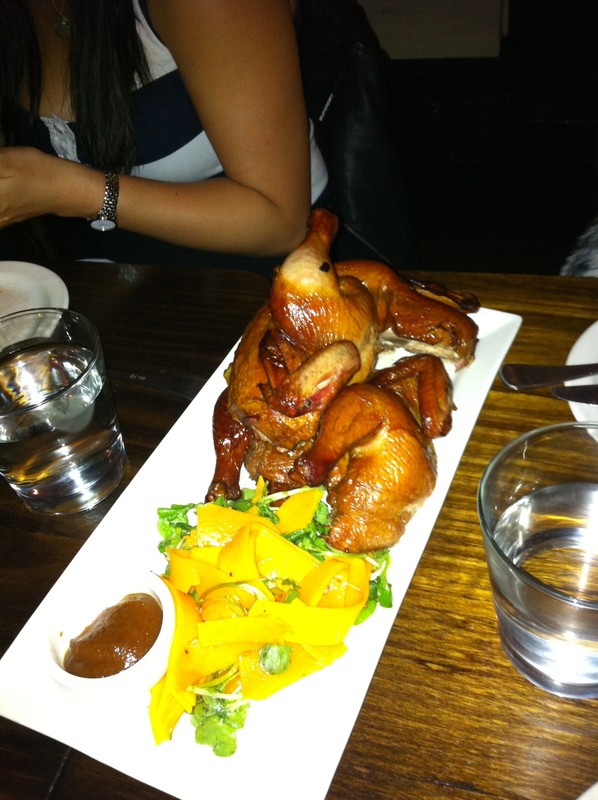 We were then up for more woody goodness with the “Wood Roast Baby Chicken, Pickled Butternut, Watercress, and Date Puree“. Succulent and tasty chicken served with lovely veges on the side. On to desserts! 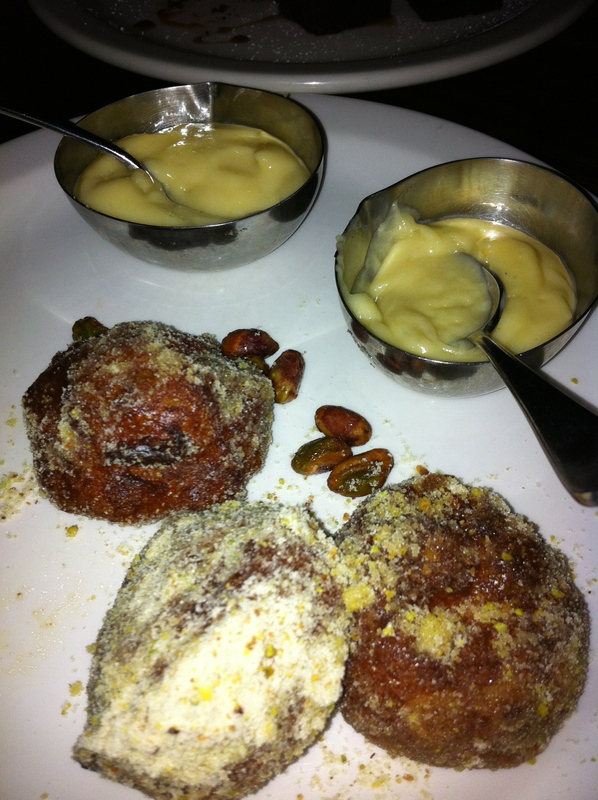 “Beignet with Vanilla Sugar and Lemon Verbena Curd” was a great little sharing dessert. By then we were moving around and chatting and this tasty little number was perfect for eating and mingling. 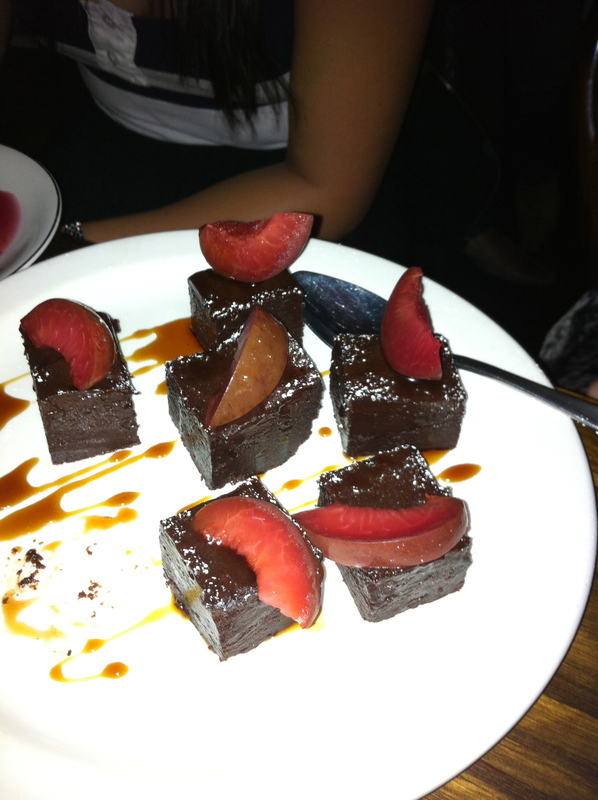 Last but not least, we had the “Chocolate Torte with Pomegranate Molasses, Rose Petals & Bloody Plums“. Bite sized and rich, they were perfect with coffee and perfect for in size. Overall, great food, great atmosphere and good service. Croquettes were the highlight and there were no lows. It looks delicious! Straight away addition to my ‘to go’ list.